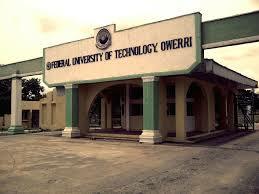 Federal University of Technology, Owerri (FUTO) O'Level Results Upload Notice to Candidates Offered Admission for 2018/2019 Academic Session. Authorities of the Federal University of Technology, Owerri wishes to inform all prospective students to kindly re-upload their o'level results to JAMB Portal for 2008/2019 admission exercise. All Candidates whose names appeared in the 2018/2019 FUTO Merit Admission list should urgently upload their O’level results in JAMB Portal to validate their Admissions. To be Eligible for 2018/2019 FUTO Supplementary Admissions, all candidates should urgently upload their O’Level results in JAMB Portal. To be Eligible for 2018/2019 FUTO Direct Entry Admissions, all candidates who participated in FUTO DE Screening Exercise and scored a minimum of 40 points should urgently upload their O’Level results in JAMB Portal. Note: Visit JAMB CBT Centre or JAMB Office nearer to you for easier upload.